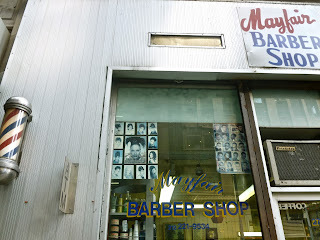 When I'm in the neighborhood, along 8th Avenue in the lower 40s and upper 30s, I like to visit the Mayfair Barber Shop. If I need a haircut, I get a haircut. If I don't, I just commune with the place. This past Friday, I attempted a visit, only to find the Mayfair gone. I was shocked (though by now I shouldn't be) and heartbroken. I had that familiar sense of disorientation--was it here or there? 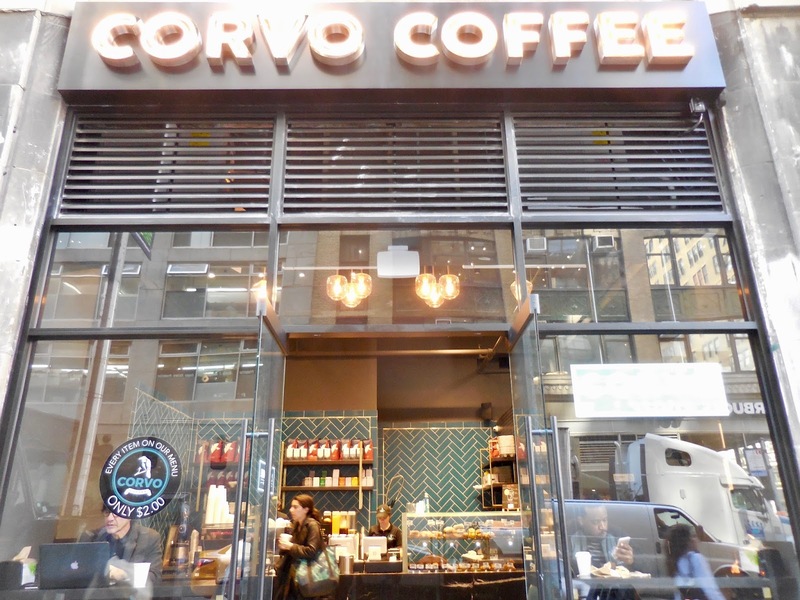 An expanding coffee chain has taken its place, sanitary and generic, its windows full of people staring into screens. This is what change looks like in the city today, all moving in the same direction of sameness. 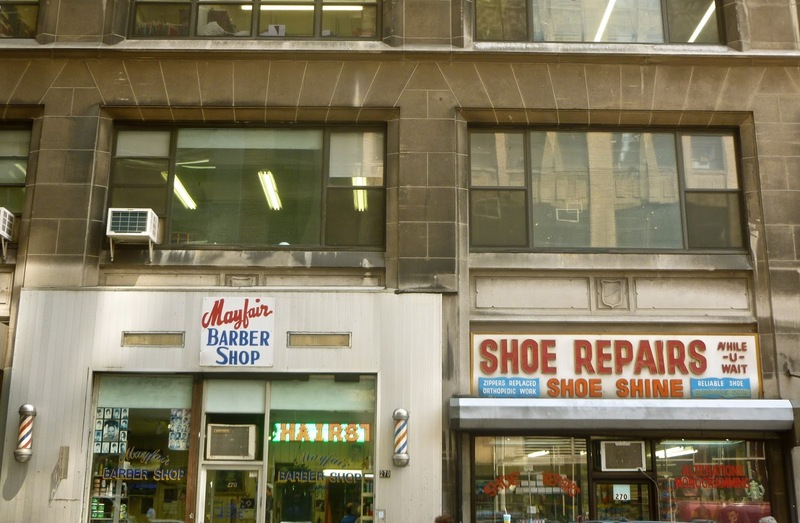 This corner of 39th and 8th has long been a holdout of the old city, containing the barber shop, next to a combination cobbler/tailor, a Halal fried chicken joint, a liquor store with a good neon sign, and an adult video store. The loss of the Mayfair has me worrying for the whole thing. 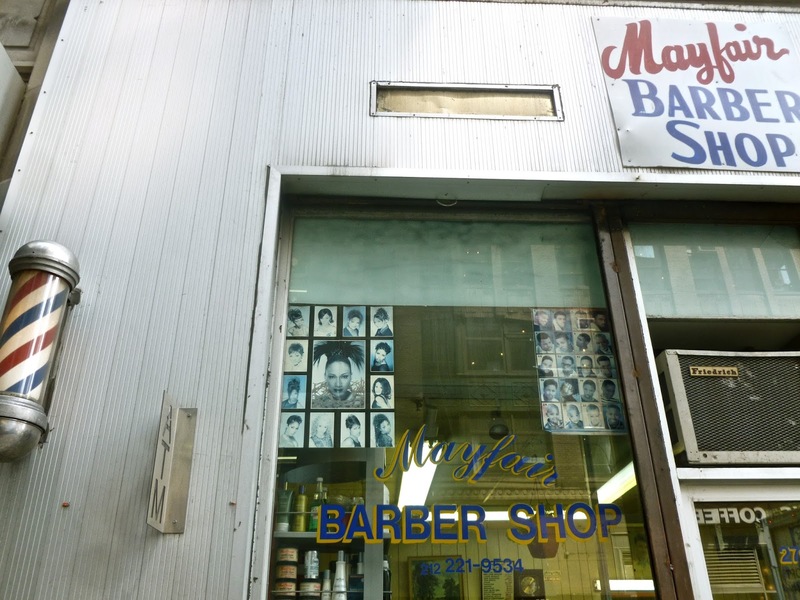 It was a gorgeous little barber shop that had been there for decades, somewhere between 50 and 75 years, according to different sources. As I described it in a previous post: When you step into the Mayfair, the air is cool and smells of Pinaud. 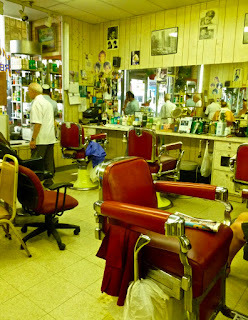 Two barbers vie for your business, directing you to their chairs. You follow the one who reaches out, almost taking your hand. His hair is as white as his smock. Distraught by the loss, I hurried into a neighboring shop and asked what happened. The shopkeeper told me, "The rent was too high." 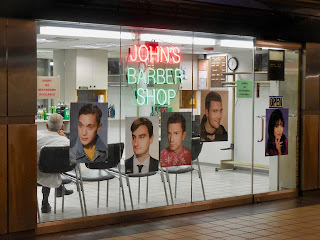 He sent me to John's Barber Shop, underground, in the subway station at 42nd and 8th. In that quiet, subterranean space, I found one barber of the Mayfair, sitting and waiting for some hair to cut. I worked on 38th and 8th for a bit in the early 2000s and that stretch was all grit. It's the "gutter" between Penn Station and Port Authority. You could find any service there and cheap eats. It's a shame, but as you mentioned, not surprising. 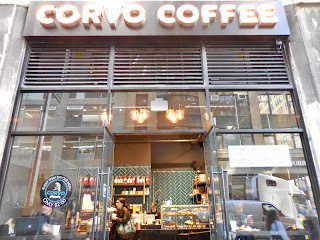 Another coffee chain. 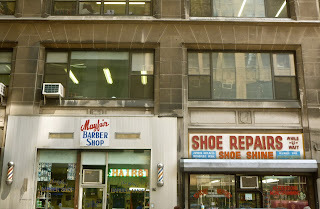 I still remember the Broadway Barber, Mr. Dimitriou, who died maybe in 2000 or not too long after. 104th & B'way. Gold-leaf window lettering, hex-tile floor, a chromed globe for heating towels, and a million stories.